To be honest, even though I know a lot about ELF Cosmetics I never bought anything from that brand. 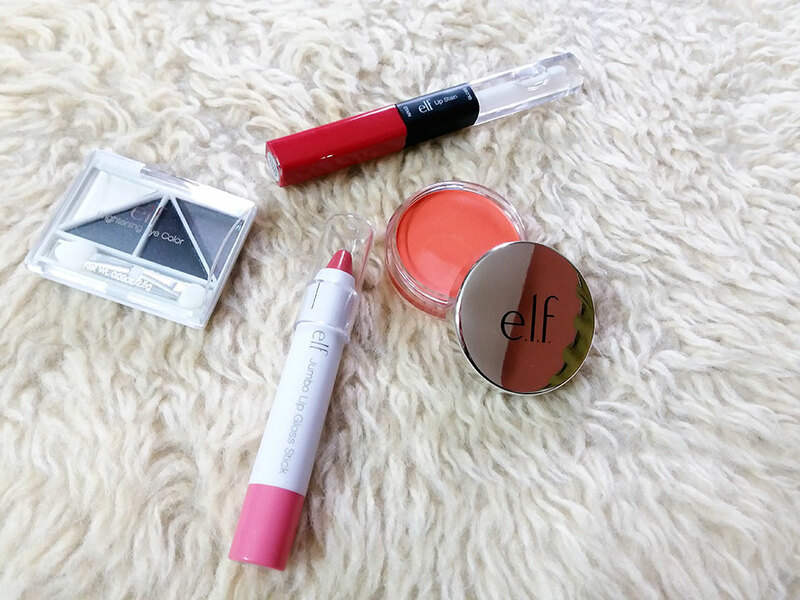 When ELF officially launched in Pakistan recently and sent me a few products for review that was my first taste. I had heard a lot about this brand, especially their brushes, but this was the first time I tested them. 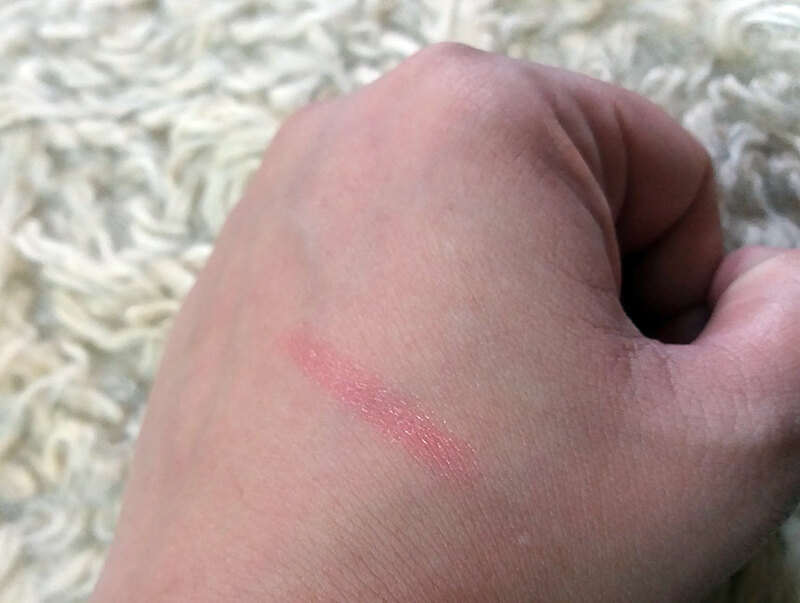 After experiencing the products was I impressed? Elf, short for Eyes. Lips. Face, is a NewYork based Cosmetic brand known for it's extremely retail friendly products, some even as low as $1. Their products range from $1-$2 for their “Essential” line, $3-$6 for their “Studio” line, and $3 to $8 for their “Mineral” line. Also, E.L.F. is cruelty-free, no animal testing. 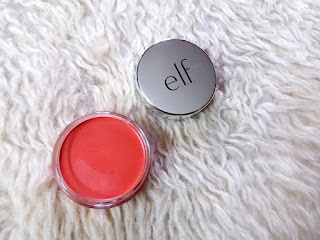 I do want to try a lot of products from *Elf Cosmetics, that is certain, however, I was not completely impressed with the ones I got in my PR bundle. They have their pros and cons. I have heard great things about their Lip exfoliator, Studio Line products, Intense ink Liner, HD blush, Brush Cleaner and Setting powder. 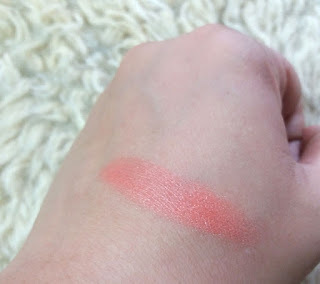 This was the first time I was trying ELF Beautifully Bare Blush in the shade Peach Perfection. It goes from cream to powder after blending. Doesn't feel patchy and I suppose that is due to the formula being infused with argan oil and vitamin E. I had heard a lot about Elf HD cream blush but this is a different variation. Even though at the moment I can't properly utilize this product properly, I see potential when I try it a bit more in the future. It is good for adding a bit of color to your bare cheeks when sporting a no makeup look but using this over foundation seems tricky. Every foundation formula is different and the cream blush doesnt blend well with all. I feel its a good product for teens but I definitely need more practice and understanding. 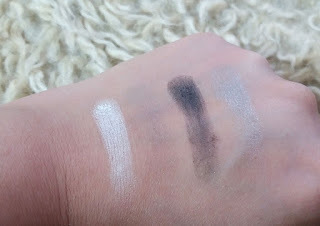 The ELF Brightening Eye Color in Drama was perhaps one of the most non-impressive product out of the bundle I got. 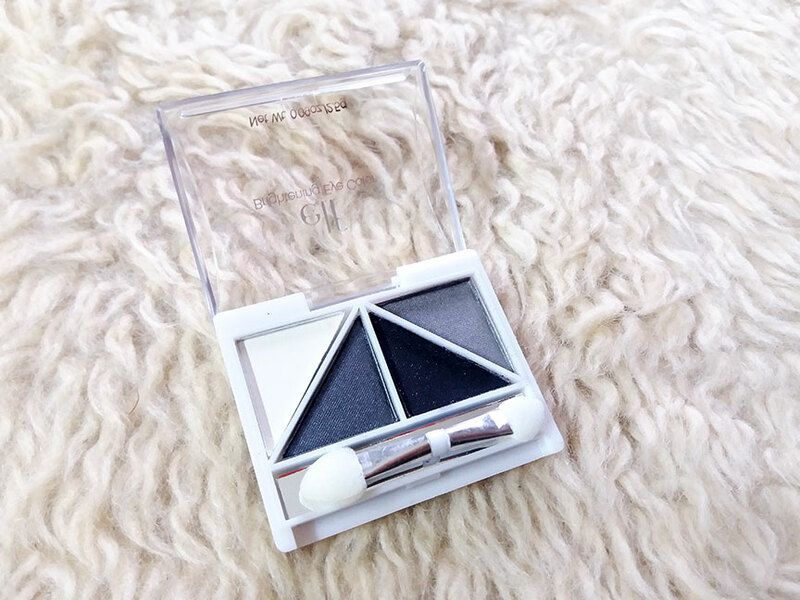 The eyeshadows comprise of 4 shades which are supposed to compliment each other and create one defined look. The formula is supposed to be smooth, luminous and pigmented. didn't experience any of that. I was disappointed with the pigmentation, especially the white shade which was also not easy to blend. I also found the choice of shades were not flattering for Asian skin tones, it appear either too cold or grey. Overall, not impressed and I know Elf has better eyeshade products but this is not one of them. The Elf Jumbo Gloss Stick are tinted Gloss Sticks perfect for the barely there lip color. It is a great moisturizer so can be used as a lip balm because it contains nourishing Jojoba, Soybean and Vitamin E. It will not take place of an actual gloss or lipstick for me because I prefer something with more pigmentation and color. However, it works well as a handy lip balm. I don't see myself using this a lot though but this product is great for teens or girls who prefer just tinted lip gloss for a soft doll look. 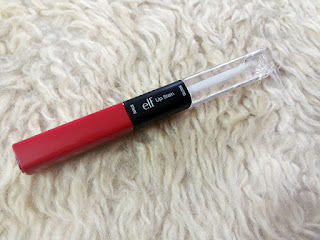 Elf Studio Lip Stain is perhaps one of my most favorite product out of the PR bundle and for obvious reasons. This liquid lipstick is a brilliant bright red so it got it's first brownie points there. That is not where the praise will end. 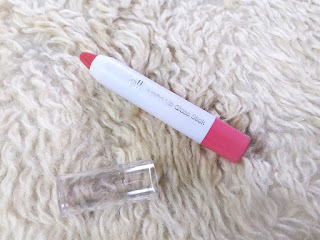 I liked the smooth, creamy formula which glides on effortlessly and dried in seconds without transferring. I only needed one application for full coverage so it's also pigmented. It feels a light on lips and a bit dry but not bothersome. I was not excited about the intense chemical smell but it goes away once you have applied it. The long wear formula lasted for hours. What if you can't deal with dry lips or want to go for a glossy look with the same color? The gloss that's part of the stain will help you achieve that effortlessly while moisturizing your lips simultaneously. The gloss plumps your lips and they appear fuller. For PKR. 550 this is a perfect steal! ELF Cosmetics is only available ONLINE for purchasing and not quite in stores (in Pakistan) but they do plan to in the future, time will tell. In the meanwhile just enjoy shopping online from the comfort of your home!